Welcome to my review of Webcopycat, you are here because someone has emailed you or told you about this product and you are searching to see if Webcopycat is a legitimate program. That is a good thing, you should always do your due diligence before investing in a system that claims to help you make money online. Fortunately, I have used the Webcopycat system and I will give you my honest opinion on whether this system is legitimate or not. Webcopycat claims to be the easiest system ever, in my review I will see if this is true and how easy it is to follow the system. Devon Brown is a successful entrepreneur and internet marketer who has been making money online for over a decade. He created the Webcopycat system because he noticed most other make money online system products were not friendly for new internet marketers despite many claiming otherwise. Webcopycat is geared towards the absolute newbie if you are an advanced marketer you will get little benefit from this program. If you want a system that is easy to follow and where nearly everything is done for you, then Webcopycat is for you. Once everything is set up, your only task will be to drive traffic to your offers and email your list regularly. This is why it is called the easiest system ever and this is why the system was created. Webcopycat is a done for you email marketing system that allows you to promote digital products in the make money online niche build your email list and earn some affiliate commissions. Every single product comes with a squeeze page, sales page and one or two upsell pages. Building an email list can be very profitable but quite difficult if you are a new internet marketer but with Webcopycat it is very simple because every aspect of creating a digital product has been done for you. Majority of these of these products are low priced, although there are some high ticket offers that I will talk about later. Should you sell any of these products, then the commission will be split 50/50 between you and Webcopycat. I think this is more than fair since the majority of the work is done by Devon and his team. Launching a successful affiliate marketing campaign can be very frustrating, especially for new affiliate marketers, this is why Webcopycat is a very good product for newbies. Also, included in the back office is 3 high ticket offers, if you don’t know what high ticket offers are, they are products that will give you a large commission should you manage to sell one. These digital products are not created by Devon but by sellers on JVZOO. JVZOO is a platform that allows people to sell digital products and services, they also allow affiliate marketers to promote these products and services and earn affiliate commissions. I have my own issues with JVZOO and the quality of the products they allow to be sold on the platform, you can read more about my thoughts on JVZOO and their platform here. If you are a new affiliate marketer it can be hard to get approval to be an affiliate for many of those products. However, if you become a member of Webcopycat, then you are automatically approved for these 3 offers provided you are registered with JVZOO. There is also a coaching program run by Devon Brown which can earn you $500 per sale, every new member of Webcopycat is invited to this coaching program and Devons team close all deals through the phone. There is zero effort required on your part to sell this. Solo ads are the preferred traffic method that is promoted within the traffic training section, although there is mention of other sources like Facebook, Bing and also they provide some guidance on how to generate free traffic. The team behind Webcopycat also provide you with a set of solo ad packages (you have to pay for these), you choose which solo ad package best suits your budget, purchase it and Devon and his team will do the rest. Udimi is the platform that the solo ads are ordered from when I was a member of Webcopycat, I used to find it much cheaper to order it myself from Udimi. You have more control, like which solo ad seller to buy from and you have the option to order as little as 25 clicks to thousands depending on your budget. The good thing about Udimi which other solo ad networks do not have is that you can see customer ratings for individual solo ad vendors. This will give a fair idea of who to order sold ads from. Not only will you get a done for you system but the team behind this product will also set-up your autoresponder for you. This costs an extra one time fee, but for me, it was worth it, because, when I first started trying out my hand in affiliate marketing I didn’t know what an autoresponder did or how to set one up to collect email addresses. 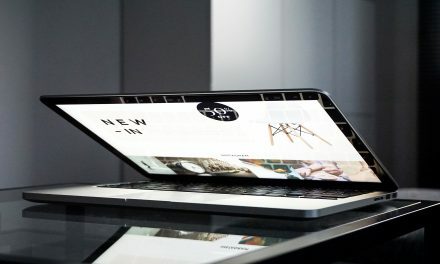 If you have experience with setting up e-mail series and know how to connect your autoresponder to landing pages then this isn’t necessary (Honestly if you are an experienced marketer then like I stated in the beginning, this product may not be useful to you, it’s totally for complete beginners). Whilst we are on the subject of autoresponders, you should know that Webcopycat is only compatible with Aweber. If you are with any other autoresponder, you will have to get an Aweber membership. Luckily with Aweber, there is a one month free trial for new members. You can try out the system for 10 days for only $1 and thereafter if you wish to continue it will cost you $34.95 on a monthly basis. However, if decide to buy the entire set of sales funnels the monthly fee will be waived and you will get lifetime access to Webcopycat. Webcopycat is a decent product if you are new to affiliate marketing, however, be aware of the sales page hype, making money only isn’t as easy as it makes out. It will not teach you the basics of affiliate marketing, which is fundamental if you want to succeed in this industry. It will give you a basic idea of how email marketing works, however, I do not agree with the methods they preach, for example, they advise you to email your list regularly and always be promoting something. As someone who is on the email lists of multiple marketers who do this, it gets irritating after a while and I am not a huge fan of this type of marketing. The other downside is that as you build your list, Devon also gets the same leads, so you are essentially helping your competition and an established marketer build their list as well. I have also recently found out that Webcopycat is not being sold on the JVZOO platform anymore, and the traffic on the site has completely vanished according to SimilarWeb. I don’t know what the situation is but I would advise you to do your due diligence before you join. If you want to learn how to start an affiliate marketing business the proper way, I highly recommend the 10 free marketing course provided by Wealthy Affiliate. It will give you a solid foundation on affiliate marketing and what it takes to succeed in this industry. Its not hard but it does take time and dedication. Click on the button below and to find out how Wealthy Affiliate can help you. Its free to sign up. NextClickfunnels Review – Is It Worth The Money? Hello, thanks for sharing, this system same to be a good program that can help you to understand the basic rules that governs that type of work so to speak. Your post is well detailed and filled with great information. I am sure that your reviewers will find your post most helpful. Glad you found it useful, its one of the easiest systems to implement and it is completely geared towards new affiliate marketers. Thanks for the interesting review. I’d heard of webcopycat before but never looked in to what it was or what it offered. I’m in the process of learning and this is certainly something I’ll be thinking about. Well done! Thanks for reading my review. Glad you enjoyed it. I start the trial now to test the system. You made a great review, thanks. Glad you found my review useful. If you need any help, don’t hesitate to message me. Hello. I am new to affiliate marketing. By reading your review I learned e few things I have not come across before. One of the interesting things I learned from your review is High Ticket Offers. It’s sure is something to look out for in the future for me. Who wouldn’t want a 50% commission? Great information. Keep up the good work. I’m glad this review was helpful to you. Hi, this seems like a pretty solid system at an affordable price. Although to be honest a lot of what they offer are beyond me, I’m not sure about what email lists or solo ads are yet but I would like to learn. Based on your review even a newbie like me can use it and I do believe it is just that simple but I would like to understand what I’m doing as well. Do they explain the entire process for us? This is a system for complete beginners, email lists are simply just that, lists of people’s email that have opted into an email capture page. Now, collecting them for your business, that’s where it gets difficult for newbies (like me).I had no idea how to create a capture page or how to create digital products. Webcopycat does all that for you, all you need is a service that will store these emails for you. There are many services that will let you store emails but webcopycat only works with Aweber. Solo ads are when you advertise your products or affiliate links to other people’s email list by buying a certain number of clicks.Many people have huge email lists (some have hundreds of thousands of email contacts). They charge you per click, it’s a lot like pay per click (PPC) advertising. So when someone clicks on your link in your advertisement, you will be charged a certain amount. Udimi is where you will find a lot of these solo ad providers, they usually charge between 30-60 cents per click. I hope that answers all your questions. If not, message me and I’ll try to explain in more detail. I can certainly see the appeal of Copycat and I just might give it a try. I’m a complete newbie and I have no idea how to create Capture pages, how to set an auto-responder, etc. Are all of these systems that crucial for successful promotion of a site? Is it difficult to manage them all at the same time? They are not crucial but they do help a lot, if you can capture someone’s email, you can build a relationship with them and later on, you can start promoting stuff to them and because they trust you, they may buy. However,if you have a website or running any other online business I would concentrate on that instead of starting another opportunity.It will just distract you and you end up not concentrating properly on one business. I always say get one business running successfully and then diversify. The important whether the product has generated the so-called income to the newbie. I have so many products that do not work at all. Great review of Web Copy Cat. I’ve never heard of that program before but, based on everything you highlighted here I’m definitely going to take a look at it. Seems like a perfect system for people who are new to the concept of making money online. The product part is covered as well as the email followup and list building. Excellent review. I’m not a newbie but am still struggling to make money online. Is there any way around the AWeber issue? I’m with GetResponse. I’ve got used to their systems so really am reluctant to change. You know how different they all are and how much time it takes to get used to them. I am sorry but at the moment the system only works with Aweber. If you don’t mind me asking, are you currently with a programme? do you have a website set up? Would like to know your situation to see if I can be of any help. It looks like Web Copy Cat provides a legitimate way to make some nice money online and your site has provided some efficient detail towards this topic. A lot of people are always trying to find ways to make money online and with you providing this system will help someone work towards their goal in making money in the long run. Very helpful info. Yeah webcopycat is a good programme, especially for newbies,it will not make you rich but it will give a good foundation in what affiliate and email marketing is. Devon Brown is great guy and always helpful. Seems like a solid way to make money online, there is training and for the most part the hard work is done for you. The mentoring is a little pricey and I’m sure success is not guaranteed. I prefer wealthy affiliates model to programs such as these… You pay a small monthly fee, get plenty of training and mentoring from your peers. You can’t go wrong! Thanks for sharing about Webcopycat. I’m always interested in learning more about all the online marketing services offered out there. I can imagine this is a goof option for those who are looking for more of a sort of automation program, and it comes with a fairly affordable price, too. Thanks for a great review of this business, however, I must admit that I haven’t heard of this until I read your review. Thank you for your review of web cat copy. I got it into my mail here a couple of days ago and just wanted to see what’s being written about it. When I look at your article, I can see that my first indentation is roughly the same as you give an impression of here. I see this as another program set up to earn some quick cash on new online hoping for the quick win. I do not believe in the fast win online. But what do you think you can make a difference here, or do you just think it’s up to franking people who earn a lot of money? It is legit programme,however I don’t believe you can build a sustainable online business with it. It gives a good understanding of how affiliate marketing works through building an email list. You get everything done for you, from email swipe files to digital products that you can promote, your main goal with this programme is to build your list, create a relationship with them and then sell them whatever you are promoting. It’s a good programme but I prefer building a website, providing value and then selling to my customers.